We all love to get away now and again, right? And we’re no different here at GWA… but we never thought the day would come when we arrive at the airport to jet off to a sunny destination — and leave our vehicle to be parked by a robot! But this is now to be the case with the advent of Autonomous robots helping out with valet parking duties at Gatwick Airport as part of a trial later this year. For a three-month period starting in August, Zone B of Gatwick’s long-stay car park will act as the testing ground for a fleet of robotic valets. 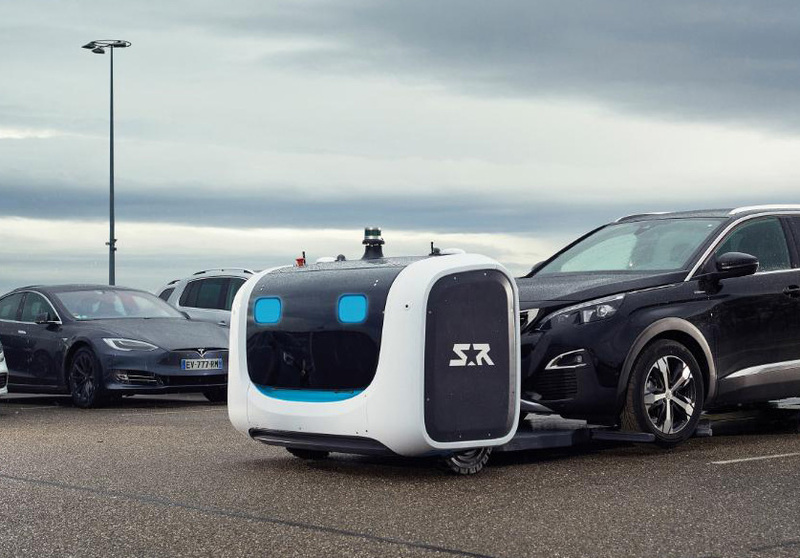 The robots use forklift truck-like equipment to raise cars off the ground and transport them to a parking space. Users drive to the car park area and park their car in a dedicated cabin, confirming their booking on a touchscreen. Cars are then scanned for their dimensions and slotted into appropriately sized spaces by the robots.